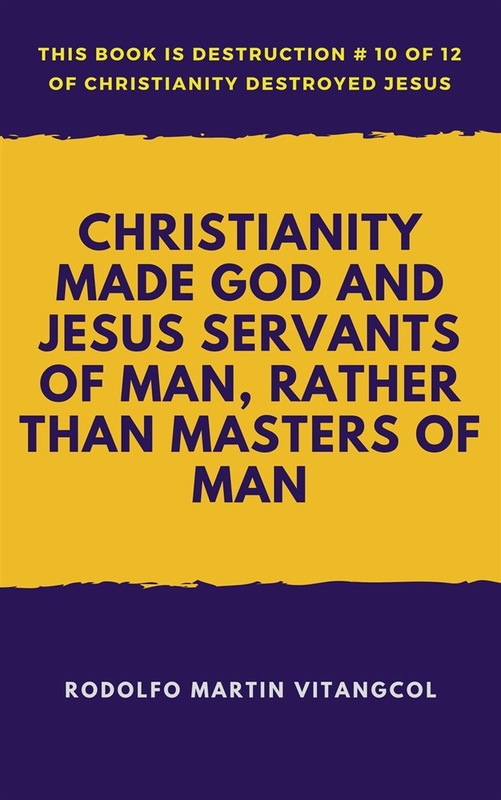 God is our Lord and Master and we are but his servants. Our duty is to serve him, not he to serve us. Whenever we face God in our prayers, may it be for reason there’s something good we have done lately that we wanted to report to him, more than we have some new problems again for him to solve or new wishes again for him to grant. If we were to treat God like our ever faithful and loving Servant who is always there at our beck and call, then on Judgment Day, instead of him judging us on things we have done for him, it is we who would be judging him on things we have asked from him but which he did not do or grant. God is all powerful: There is nothing we will ask from him he cannot give or do. God is all loving and merciful: There is nothing we need in life he will not have the heart to give or do. But God is also ever fair and just: There are things we would be asking from him that he will not oblige us, lest by doing so he will be spoiling us. Amen. 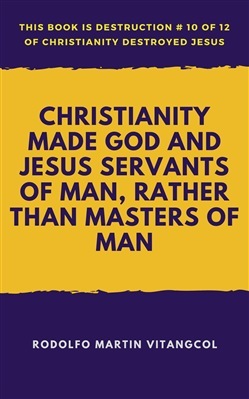 Acquista Christianity Made God and Jesus Servants of Man, Rather Than Masters of Man in Epub: dopo aver letto l’ebook Christianity Made God and Jesus Servants of Man, Rather Than Masters of Man di Rodolfo Martin Vitangcol ti invitiamo a lasciarci una Recensione qui sotto: sarà utile agli utenti che non abbiano ancora letto questo libro e che vogliano avere delle opinioni altrui. L’opinione su di un libro è molto soggettiva e per questo leggere eventuali recensioni negative non ci dovrà frenare dall’acquisto, anzi dovrà spingerci ad acquistare il libro in fretta per poter dire la nostra ed eventualmente smentire quanto commentato da altri, contribuendo ad arricchire più possibile i commenti e dare sempre più spunti di confronto al pubblico online.